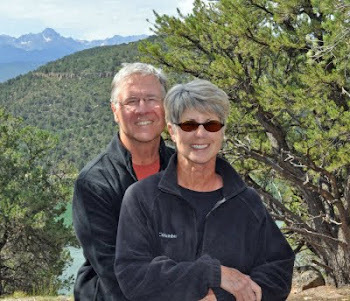 Find us on Google+ Rick and JoAnne's RV Travels: Where in the World are Rick and JoAnne? Where in the World are Rick and JoAnne? No, we have not sailed off the edge of the earth. Actually, we are in our wheel-less home in Broomfield, CO. That is a statement of fact not an excuse for why we have not been blogging. The truth is we simply went on a sabbatical. The last couple of weeks of travel on our way back to Broomfield found us very busy exploring new sites and once home we were busy catching up with family and friends. The whole blogging thing just got pushed aside. One of the main reasons we write our blog is to serve as our own personal journal. It is the discipline that provides us with a chance to contemplate, reflect upon, critique and document our many wonderful RV adventures. Certainly we also hope our family, friends, followers, and readers find our postings entertaining, and/or informative. 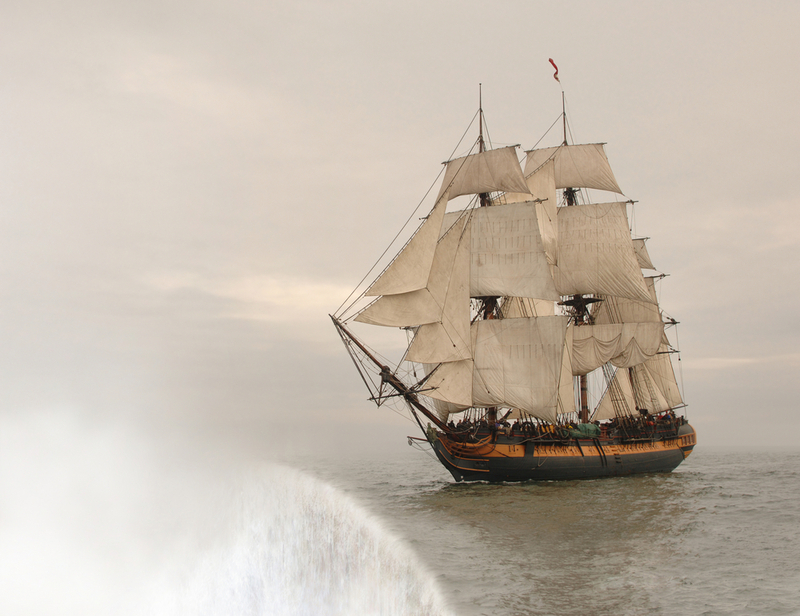 So, today’s long overdue post will be an effort - a start - to bring our “journal” up to date. 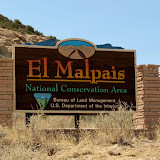 After leaving Albuquerque on April 17 we traveled about 75 miles west on I -40 to Lava Land RV Park in Grants, NM and used this location as home base for visits to El Malpais, El Moro and the Acoma Pueblo of Sky City. El Maplais – “Bad Lands” in Spanish lives up to its name. The landscape of this area south of Grants, NM is harsh and rugged with ancient lava flows and sandstone bluffs being the dominant features. 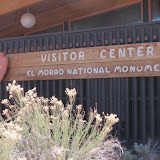 We started our tour of the area by first visiting the Northwest New Mexico Visitor Center which was right across the road from the campground. This provided us with some historical and geological background as we headed out for a drive down the east side of the park. As desolate as this area is it was surrounded by the ancient Puebloans as far back as 10,000 years ago. The Acoma and Zuni Pueblos of today consider these Puebloans their ancestors. In fact, the ancient Zuni-Acoma trial crosses the park and hooks up with the Continental Divide National ScenicTrail. We spent all morning taking short hikes to the Sandstone Bluffs Overlook, the La Ventana Natural Arch (the iconic symbol of the park) and Lava Falls Area. After leaving Lava Falls we headed around the south end of the park and then headed north toward El Morro National Monument. The drive north was typical of the desert landscape of much of New Mexico – flat and barren. Then seemingly out of nowhere rises a high sandstone cliff – known as Atsinna “writings on the rock” by the Zuni or El Morro by the Spanish. There isn’t much water in this part of New Mexico. Yet, at the base of El Morro there is a protected, shaded, and permanent pool of water - an oasis. This precious water source has been a stop along a major east-west trail since ancient times. As travelers traveled by, stopped and camped here they carved symbols and signatures in the soft sandstone as evidence of their passage. For Anglo-Americans it became known as Inscription Rock. Rock art, or a form of graffiti – no matter. What remains is a fascinating chronicle of the many generations and cultures that crossed through this area. Of course our first stop was the visitor center where we watched a well-done movie and then headed out for the short hike up to and along Inscription Rock. Our only regret was that we arrived too late to take the hike to the top the El Morro to the Atsinna Pueblo which was first unearthed by archeologists in the 1950s. Oh well… Next time. We left El Morro as the sun was starting to set and headed back to the campground. Next up… Acoma Pueblo. To be continued.